I’m often asked in interviews what the trigger was that made me want to reduce my plastic and why. For those who don’t know my story it was a documentary (The Clean Bin Project) watched out of boredom in 2013. I often wonder why it was this particular documentary? Why that moment? It’s not like I hadn’t been exposed to other environmental atrocities or how our consumer choices have a direct impact on eco systems and the animals reliant upon them. What made me change then and not before? The photo above is of me from 2009. I’m on the island of Borneo travelling around the Malaysian state of Sabah. 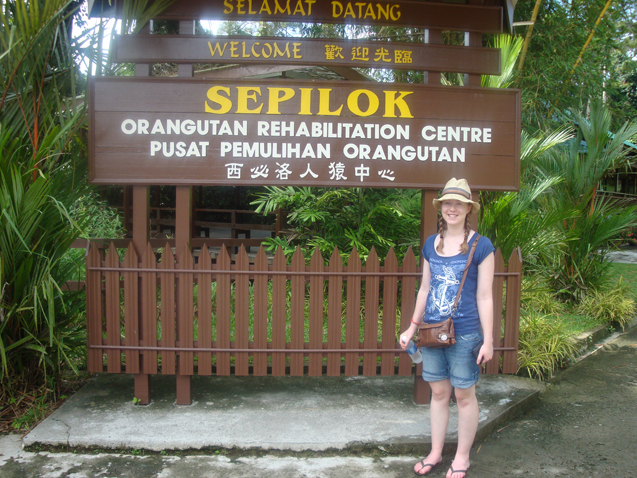 As you can see i’m about to visit Sepilok Orangutan Rehabilitation Centre. The centre cares for orphaned orangutans as a result of logging and deforestation for palm oil and those illegally caught and traded as pets. 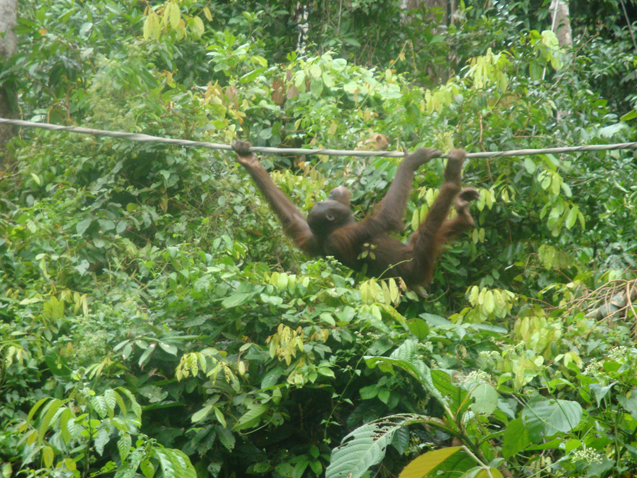 Visitors watch from afar as these orangutans eat and play. You’d think after sitting there for over an hour and hearing about palm oil, logging, poaching and watching real life orangutans rehabilitate from trauma would lead to personal change by me. But nothing changed. It baffles me why the image of a deceased Laysan albatross in the documentary I watched years later made me want to look at my consumer habits but not an orangutan playing within 100 meters of me. Or seeing acres of palm oil plantations where once stood a thriving habitat for many animals and local people. After I left the island and returned home I was aware the products I was consuming and using contained palm oil but didn’t change. It wasn’t until I was focused on reducing my waste that I gave up all palm oil products seven years after that visit to Sabah. Seven! While it does interest me as to why it took me so long I am reminded too that a seed was planted when i visited the Centre... it just took a little while to sprout. But it does worry me too. Seven years is a long time. One of my favourite quotes is 'from knowing comes caring, from caring comes change.' I knew about the issue. I saw it first hand. I cared about the issue but didn't change. At least not right away. Why now and not then? I imagine it’s a question and concern many environmentalists have pondered, perhaps even you have asked too: why does one experience make you change more than another? Is it a build up of knowledge or guilt? How can we help people understand without forcing change upon them?